Free holiday themed children goody bag. The “Cookie Walk” will take place in the shopping center. It will be in the store next to Mendham Jewelers with tables set up with a large variety of homemade cookies for the Christmas/Holiday season. For $15 (which we will donate to the food pantry) you will be given a container and then you will proceed to fill it with cookies. Noon to 3 pm. If we get lucky Santa might be there too! We invite all children to participate. There will be a list of places where Santa's picture will be hidden. You may pick up a copy at Mendham Jewelers in the shopping center. The children are invited to go in participating stores to find Santa. If they find Santa, someone in the store will sign their paper. After you get all the signatures please return them to Mendham Jewelers. Four winner will be picked in a drawing and receive Mendham Money. You will have Friday and Saturday, Dec. 6st and 7th to get all the signatures. Free appraisals. Bring your art work or sculptures in. Caroling at Kings, Robinson Drug Store, Holly Manor and more. Just in case you get hungry. Children will have an opportunity to decorate their own ornament. Fashions to fit the American Girl Dolls and Bitty Baby. 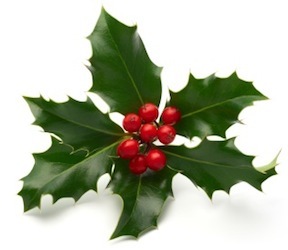 stop this year on the Borough's Holly Trail. Lets make some winter crafts together. 106 A East Main Street and 2 Cold Hill Rd. Located in the center aisle of the shopping center. Hot Cider, Hot Cocoa, Cookies & Treats all day. For all your vacation & business needs. Pat Serrano (Serrano Travel) has joined Avenue Travel. Planning a party or need an invitation call Social Graces, LLC. Giving Tree: With a donation of $10 you will receive a gift valued over $20 or more. Donations goes to: Make-a-Wish Foundation,St. Jude's Children Hospital, CASA, and Elizabeth Glaser Pediatric Aids. Collecting canned foods for the food bank. 106A East Main Street and 2 Cold Hill Rd. Visit the Candy Cane Lane Christmas Boutique on Friday, December 6th from 3 pm to 6 pm and on Saturday, December 7th from 9:30 pm to 2 pm. There will be Santa and lots of shopping featuring clothes to fit the American Girl Dolls, gingerbread houses, baked goods and a sweet shoppe. Many local vendors will be there to help you with your holiday shopping. There will be free crafts for children. Mr. Mc Murray and the children of Mountain View School. We would also like to thank the Mendham Fire Department for Santa and the fire truck. Thank you to the students of Daytop for painting the candy canes around town. We would also like to thank all the businesses in the Association who volunteered their time to made this day possible.